Obviously, the first thing you need to do is call our New York, NY office. While we make every effort to see emergent cases immediately, you may have to wait a day or so before you can see Drs. Marks, Leder, Ghusson, Kudryk, Safin, and Mazlin. Luckily, it’s easy to take care of your chipped tooth while you wait. Dental Filling and Bonding – If you only have a small chip in your tooth, Drs. Marks, Leder, Ghusson, Kudryk, Safin, and Mazlin will probably fix it with a filling. If it is a front tooth, we may bond the tooth using a tooth-colored compound. Chipping or breaking your tooth is never a good thing, and you should always call our New York, NY office right away. 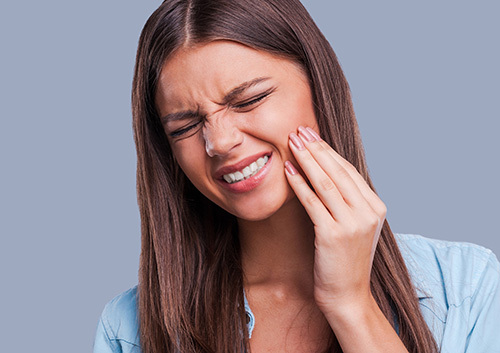 The sooner you get your tooth repaired the less likely you are to have any problems with it.